A dot button and the fastener slider use an original of ハルフ. 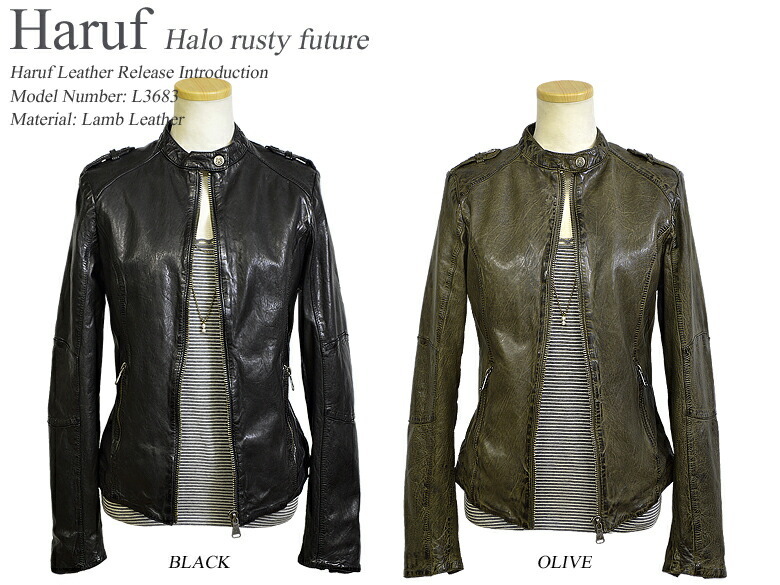 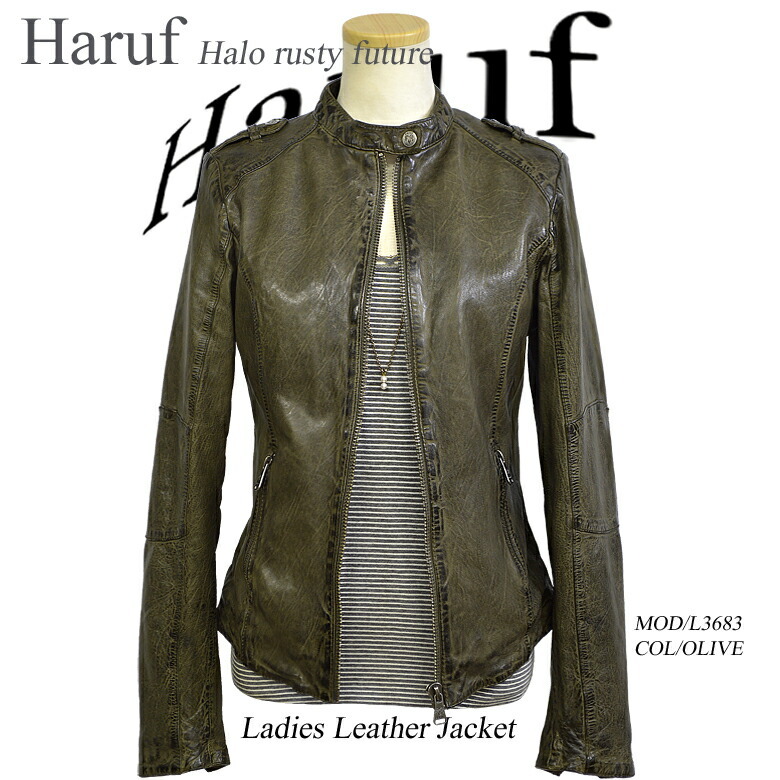 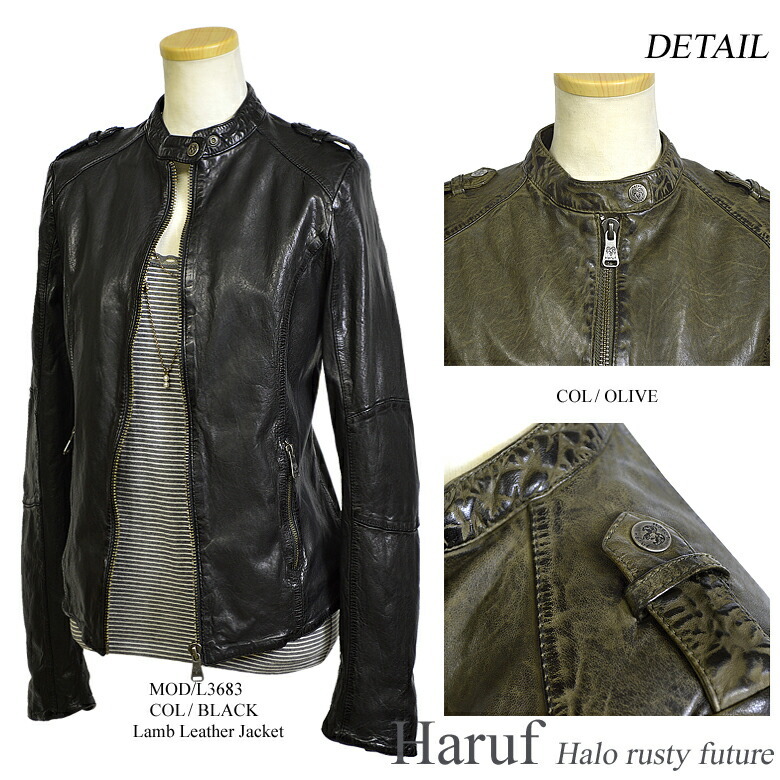 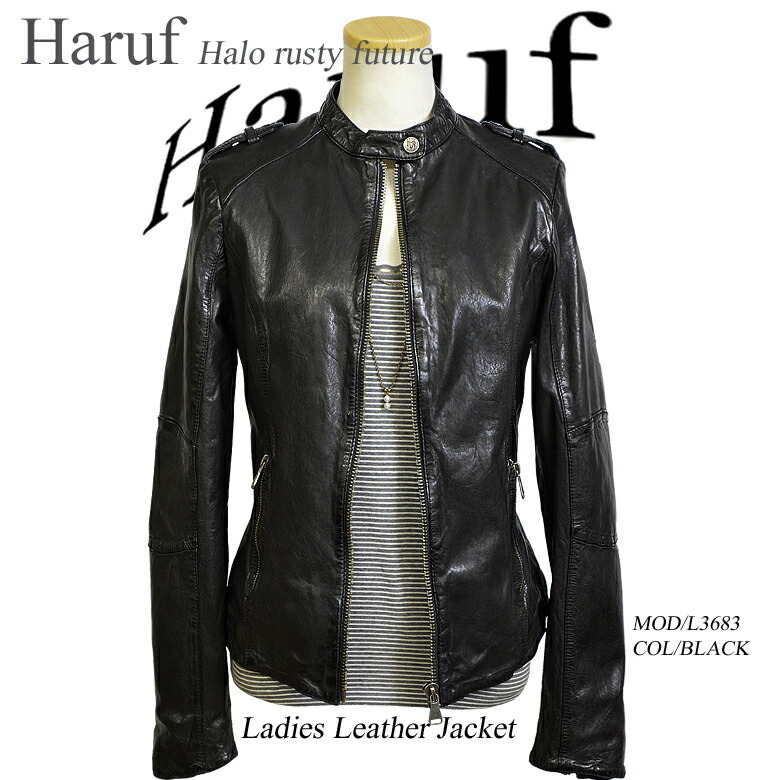 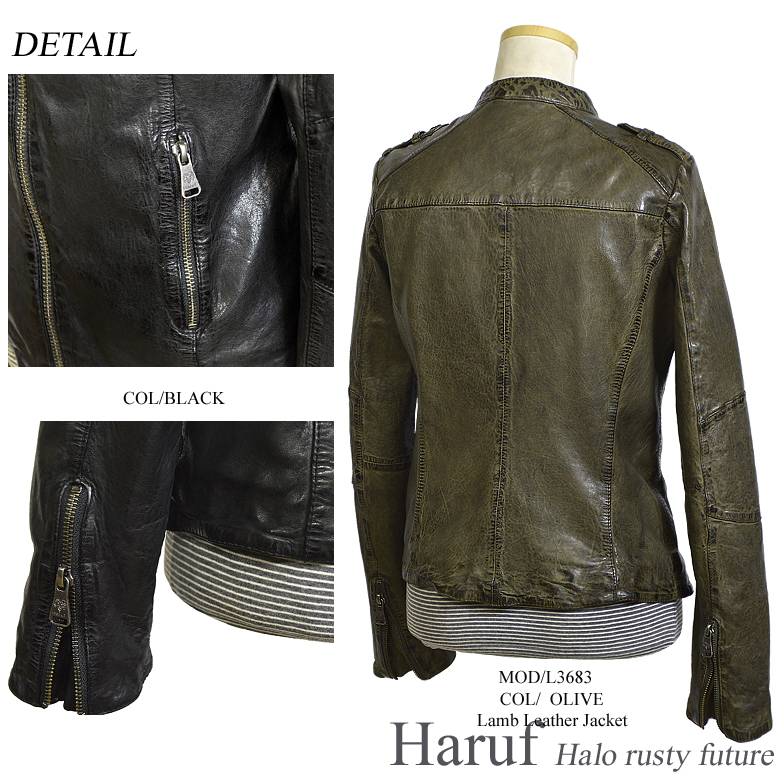 The body of the lamb leather adjusts to a body so as to wear it and becomes easy to wear it lightly. 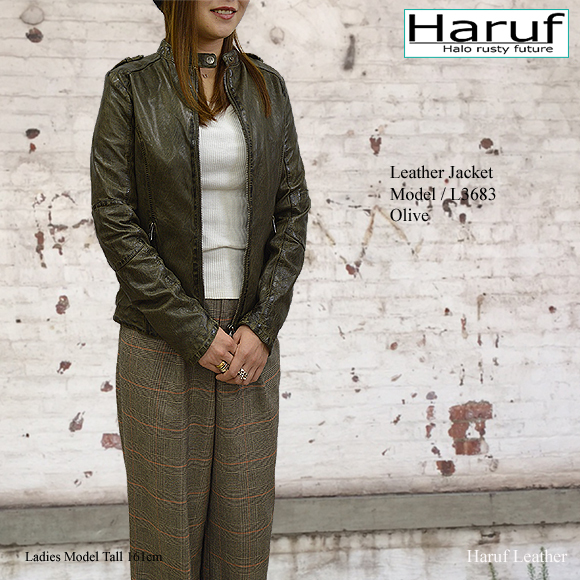 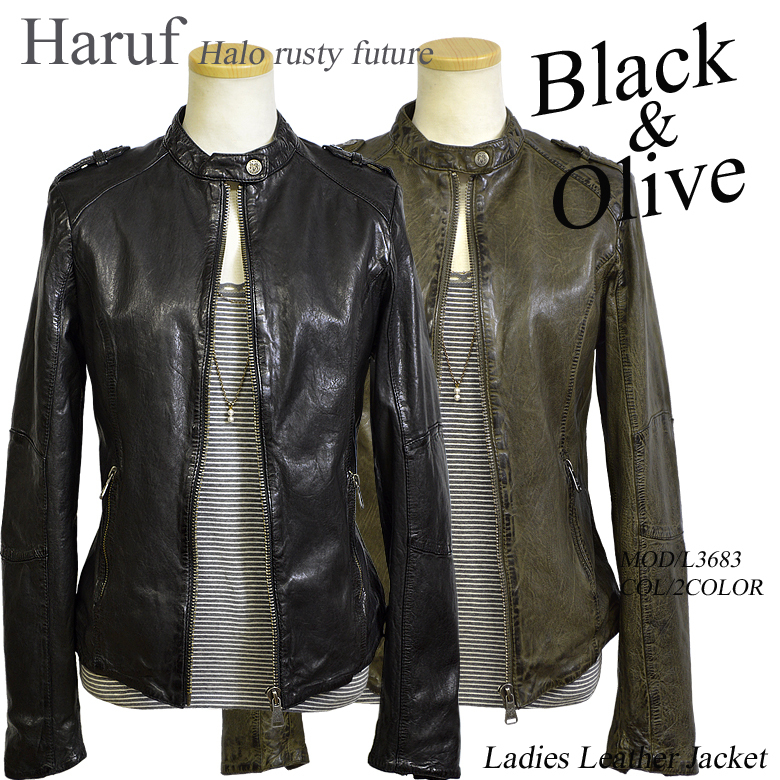 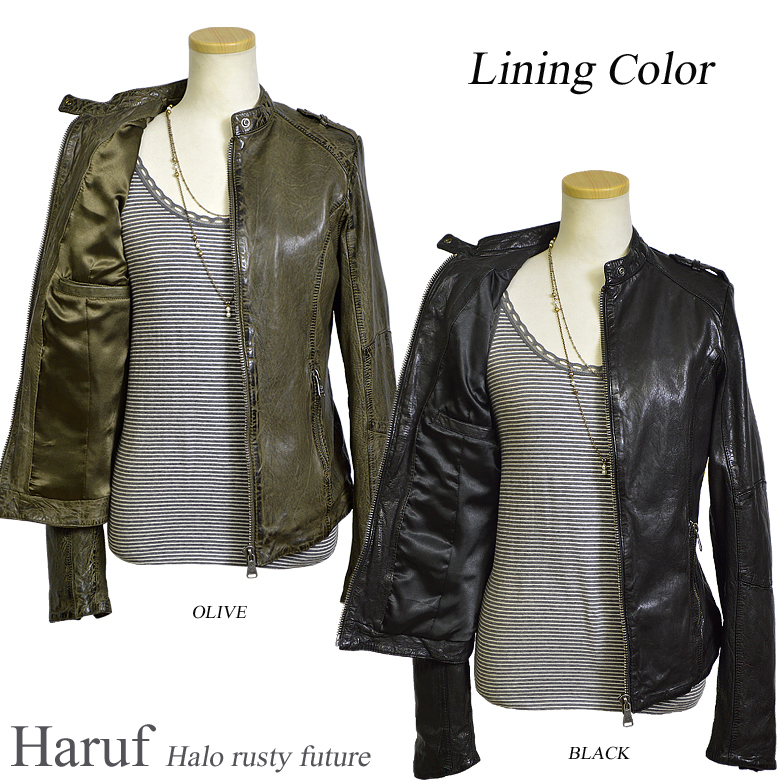 Leather and the liner of the same color use polyester of a feeling of fluent touch. 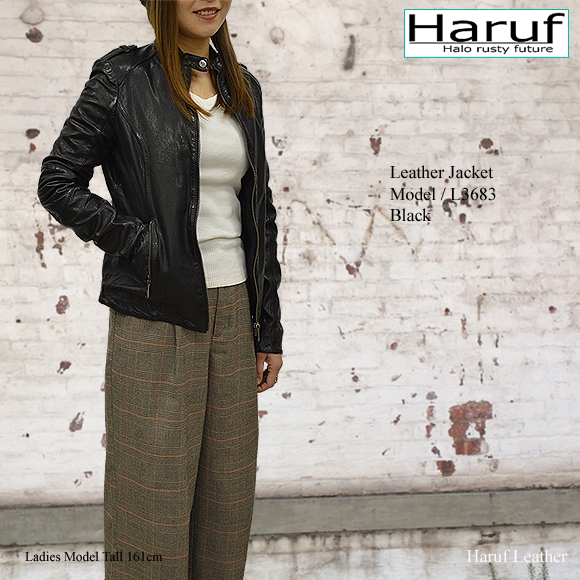 The riders jacket of the simple euro design is a certain presence stylish outerwear!